What sets the The Right Pillow apart from other pillows and what are the benefits of having an organic pillow? First thing is the shape. The angle of the pillow allows your body to be cradled and hugged, reducing tossing and turning during sleep. The pillow is perfect for any sleeping position, but was originally designed to help keep sleepers on their back, to reduce wrinkles and crush lines, improve drainage and provide better organ placement and improve overall health. Organic pillows are a MUST! The dangers of fire retardants, bleach and other chemicals are devastating to our health and are in EVERY non-organic pillow. These chemicals cause hormone disruption and possible infertility, respiratory issues and asthma and other major health issues. You spend 30% of your life on the pillow, inhaling the chemical vapors that never “air out”. If you are not worried about those issues for your own health- what about your children or loved ones?? How often should someone change their pillow and why? For non-organic, traditional fill (down/feathers, poly, foam or cotton) pillows it is recommended that you change out the pillows every 6-12 months because after 12 months, your pillow has an extra 2-3 POUNDS of skin cells, dust-mite carcasses and feces, and live dust-mites living inside. EEEW! Skin crawling yet? Is it better to sleep on a stern pillow or a more softer pillow? It is best to sleep on a pillow that is customized to YOU. That means a pillow that provides the support needed in the neck and cervical area in order to keep the spine in a strait or supine position. We believe that since the pillow is the most intimate sleep essential we use, it should fit YOU, not you fit IT! What are a couple of tips you can give to get the best night sleep? First- commit to sleep. Make your bedroom a healthy, sleep sanctuary. No technology, use healthy bedding and pillows, set a cooler temperature (around 70), and keep it dark and clutter free. Second- you get what you pay for. Inexpensive, unhealthy sleep essentials will give you, well, cheap, unhealthy sleep! Invest in your sleep because we know that better night’s mean better days and better days mean a better life! What sleeping positions are best for the best sleep? Back sleeping is the best for many reasons: fewer wrinkles and crush lines caused from pressure and body weight, proper organ placement in the body, better drainage and circulation, proper spine alignment. However, only about 15% of us can do this naturally. The Right Pillow was designed to help with back sleeping, but is incredible for the side and stomach sleepers alike. The side sleepers can hug the “arm” in the front or use it to support stillness while sleeping by positioning along the neck/shoulders/back. How is sleep important in relation to stress and overall health? Sleep is EVERYTHING! When you are deficient in sleep, everything suffers. Relationships, stamina, mental alertness, physical health, memory, sexual drive, concentration, happiness…the list goes on and on. Adults need an average 7-9 hours of sleep every single night to keep the body on the track of handling all that we do in a single day. The Right Pillow Team is working so hard at revolutionizing sleep essentials because better night’s mean better days! How can we find you to get to The Right Pillow? Follow us on Twitter @SleepyWoolies, LIKE us on Facebook @TheRightPillow and Follow us on Instagram @TheRightPillow. 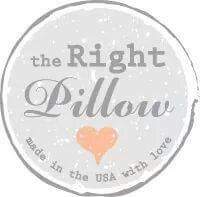 Shop online at www.therightpillow.com. Sign up for our newsletter for Sleepspiration, interesting tips and tricks for a better night’s sleep, facts and lots of fun from the #DreamTeam, Chrissy and Lacy! 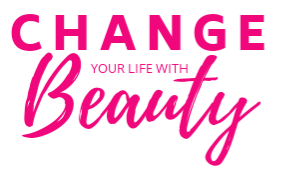 Thank you Lacy and Chrissy for being my guest on The Change Your Life with Beauty Radio Show! I learned so much! You all feel free to use the code CYLWB on the website to recieve 10% off of your purchase of TheRightPillow.com.